Refurbished item. Features: Multiple Condensation System allows you the flexibility to drain the condensation in several different ways. Patented compact, high efficiency "hydro coated" fin evaporator removes large amounts of moisture and extends the life of the unit. Perfect for any room, it's suitable for a living room, bedroom, bathroom, basement, porch, office, etc. ; 16-foot drainage hose is simple to connect due to its easy "snap on" design. 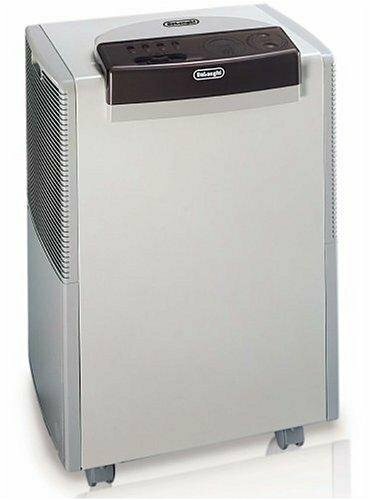 Fully portable dehumidifier with easy roll casters and convenient hand grip. Top mounted control panel allows you to easily make adjustments & transparent protective cover prevents dust build-up.